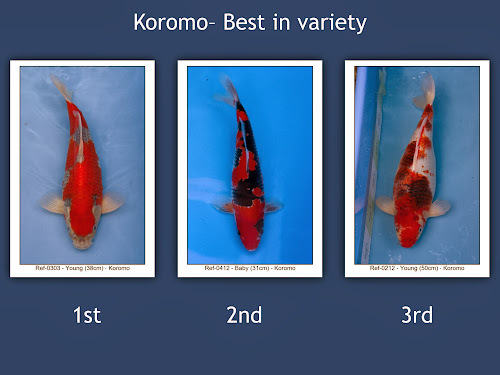 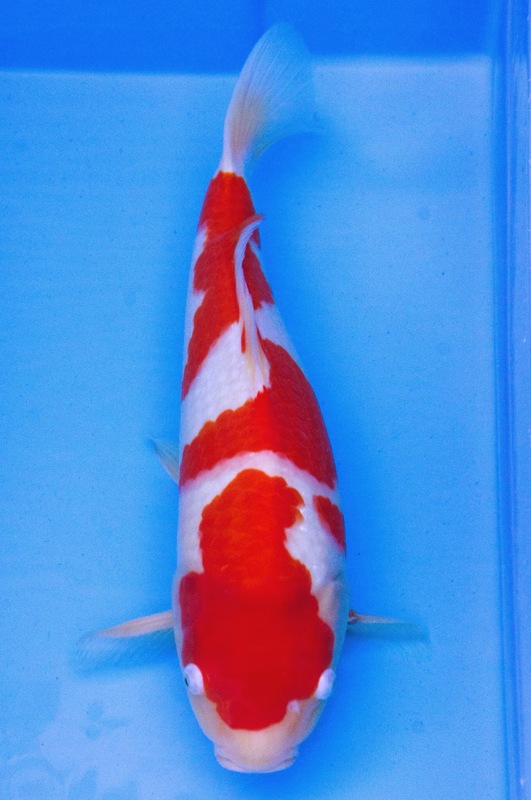 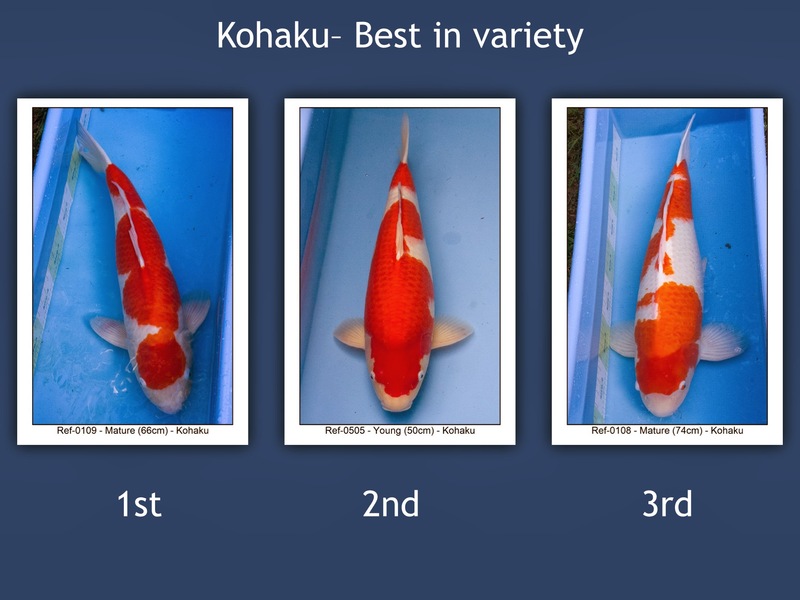 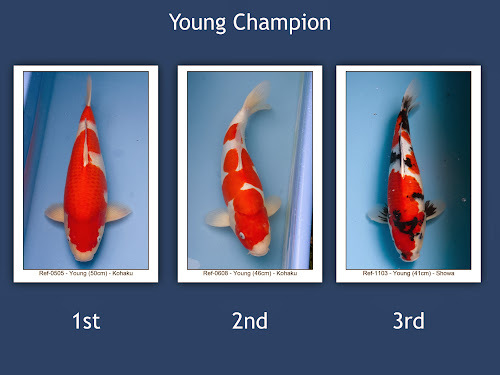 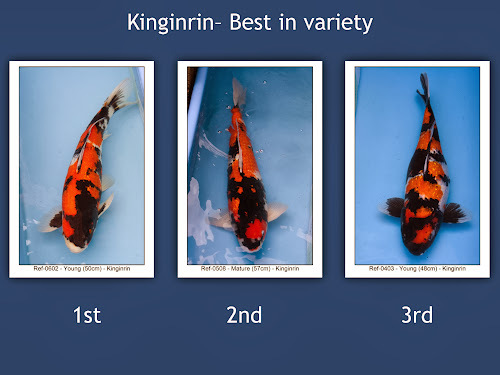 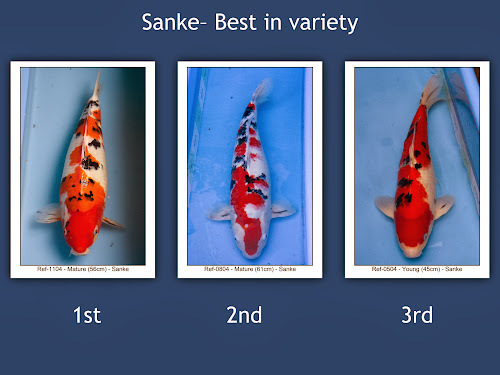 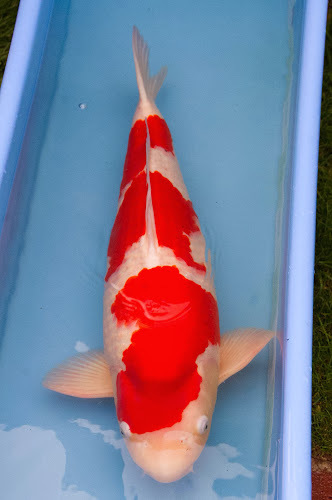 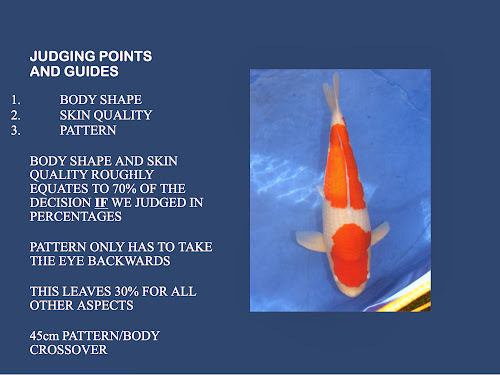 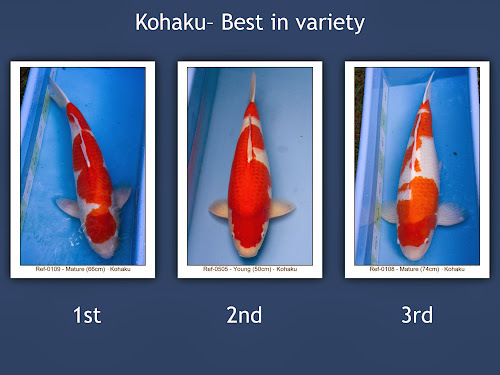 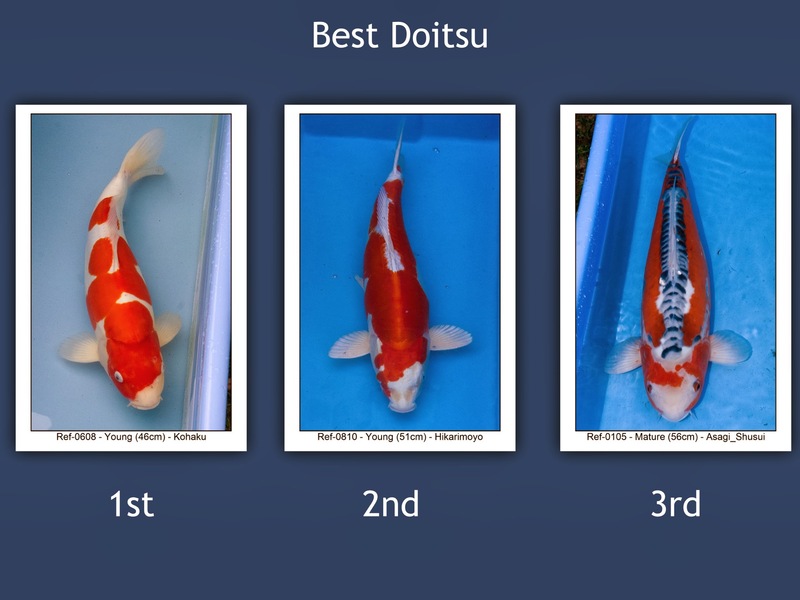 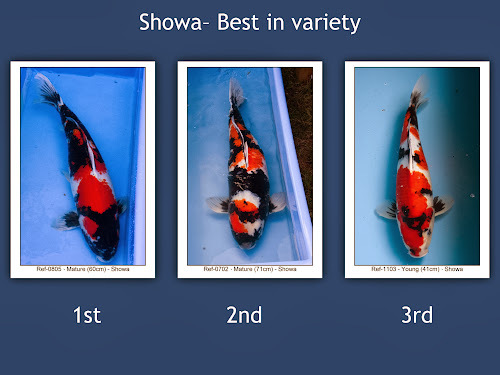 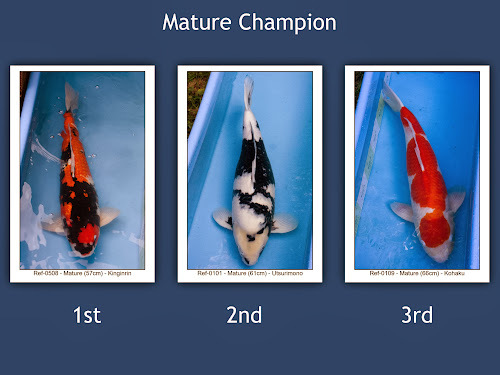 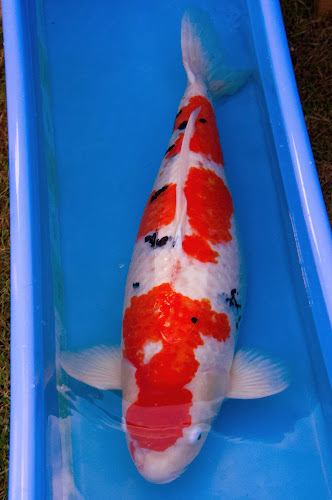 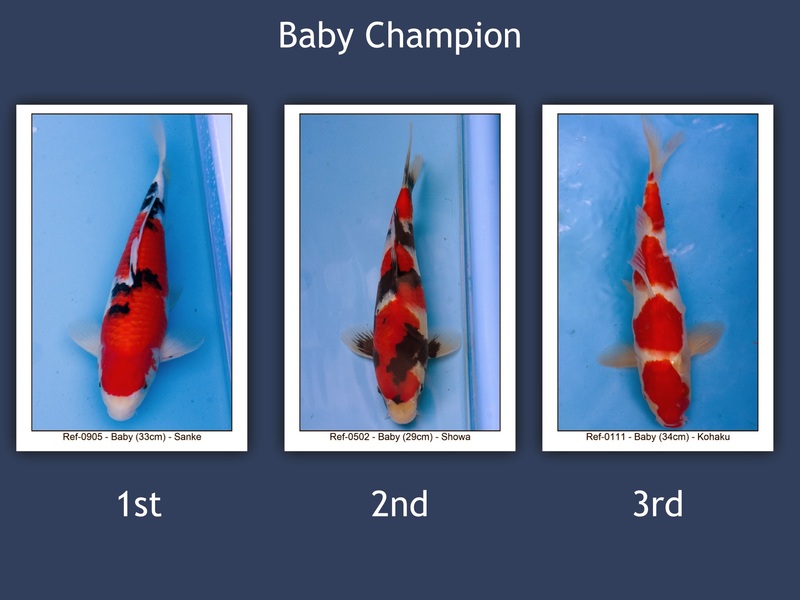 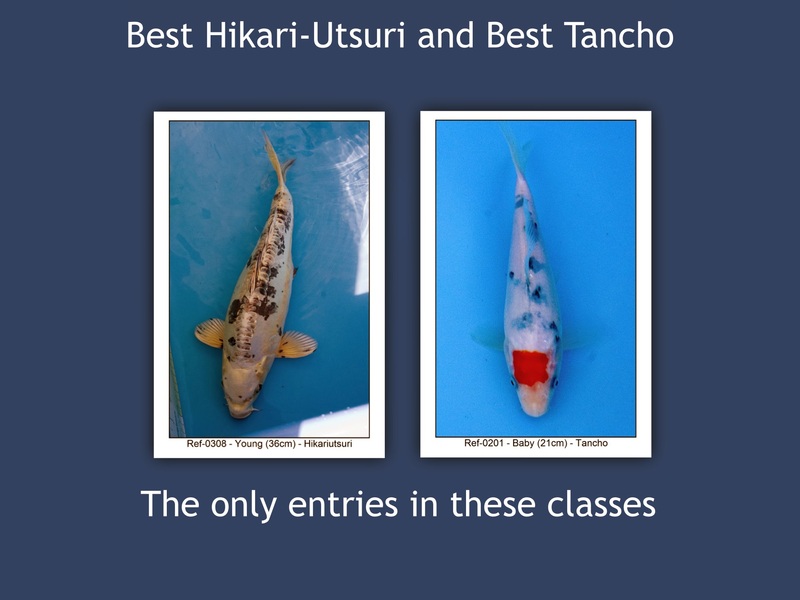 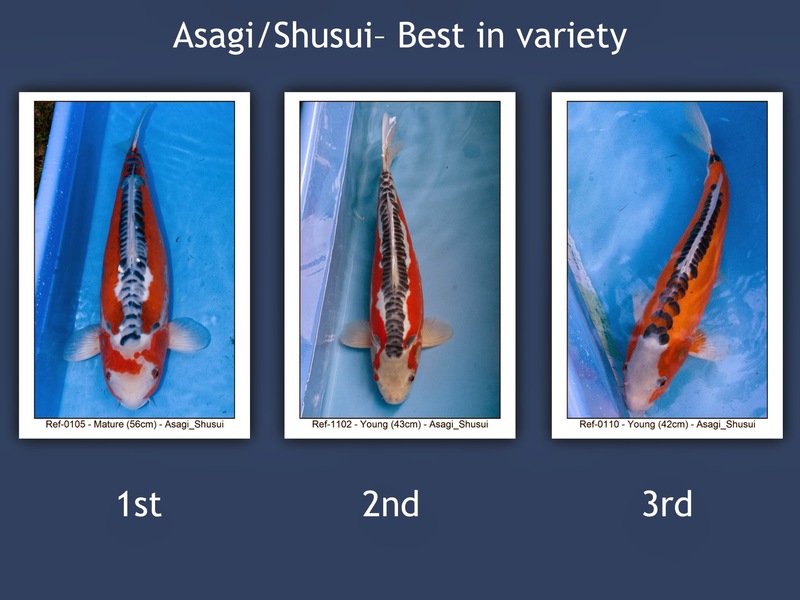 So the big Kangei summer koi show result night was upon us and you could certainly see the interest with a dozen club members arriving more half an hour early! 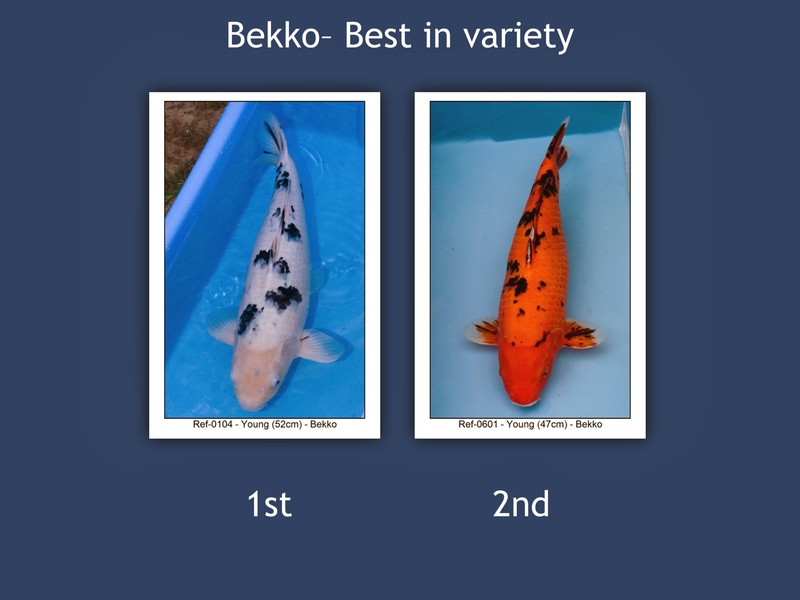 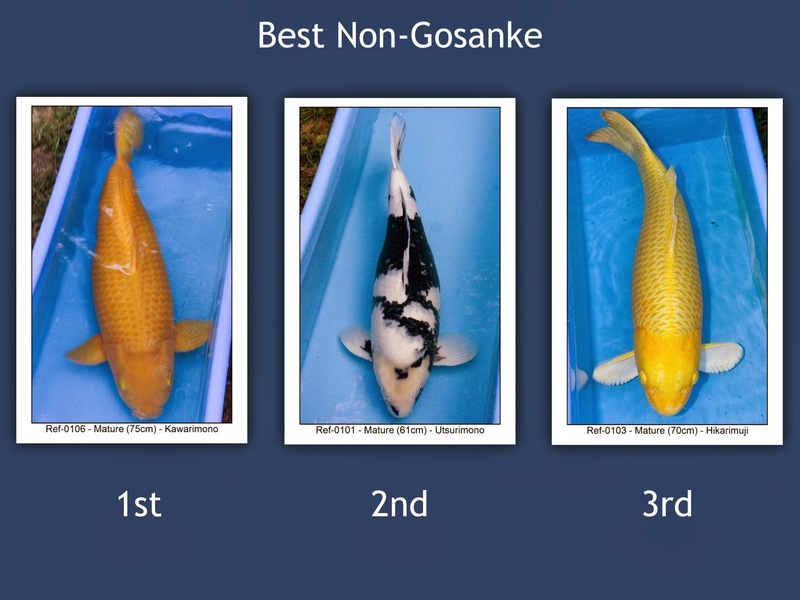 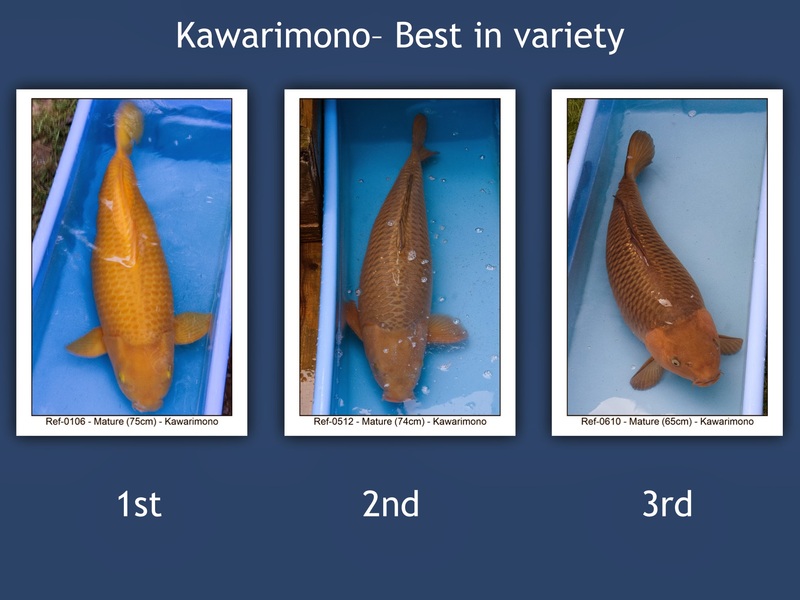 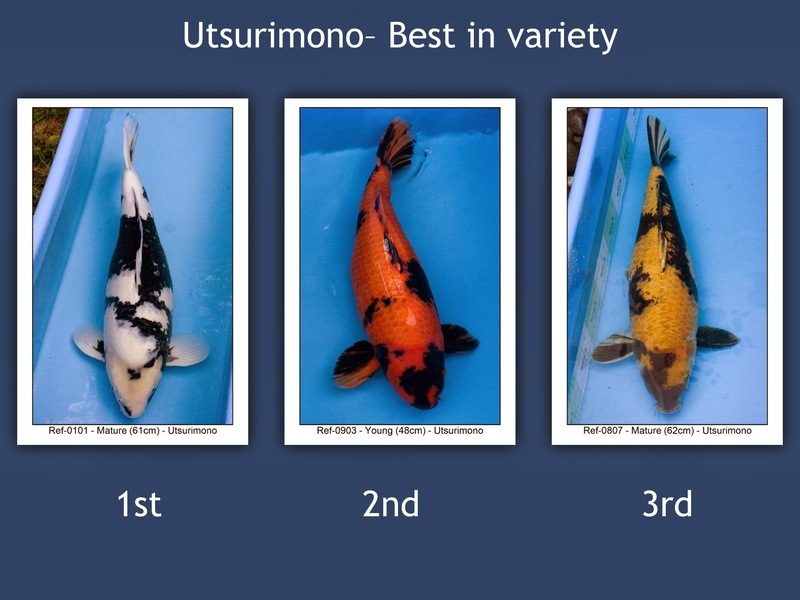 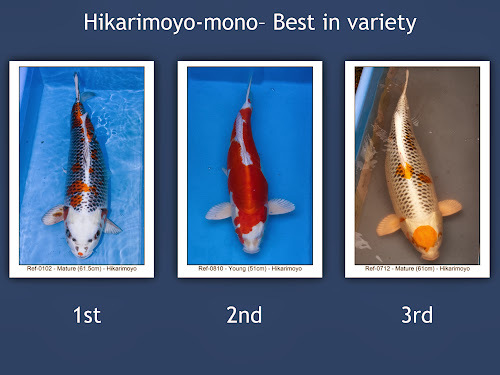 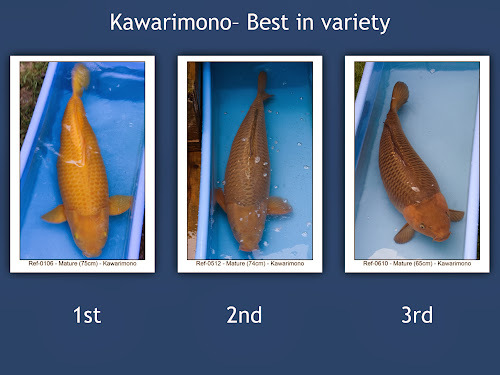 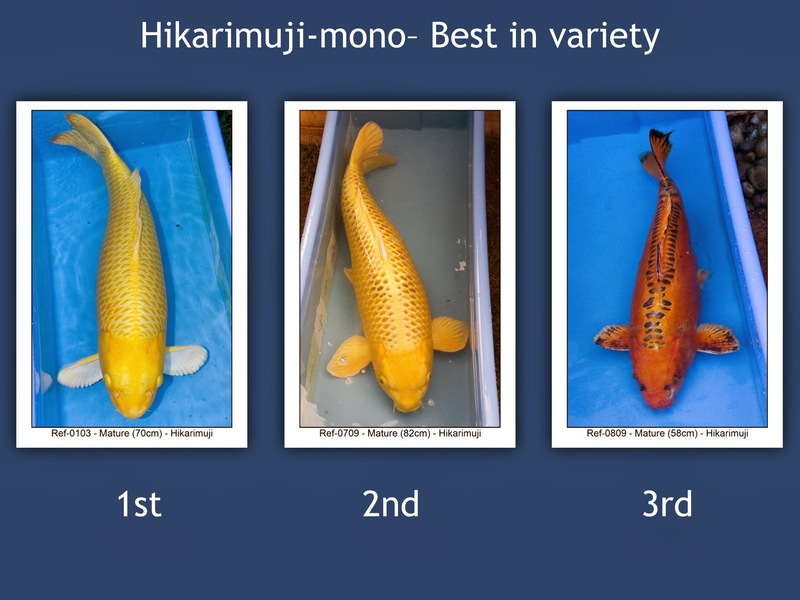 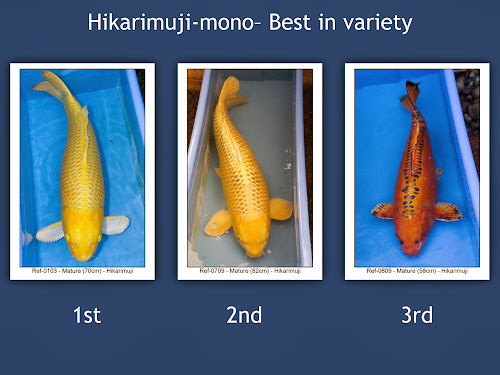 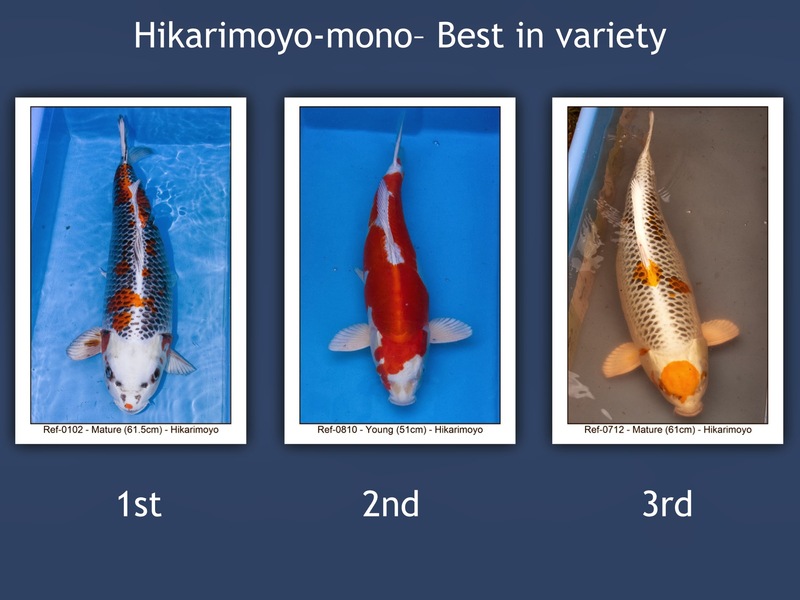 We were very pleased that Gary Pritchard (BKKS judge) was able to attend to share his koi appreciation knowledge and to provide further information for each of the award winners / runners up. 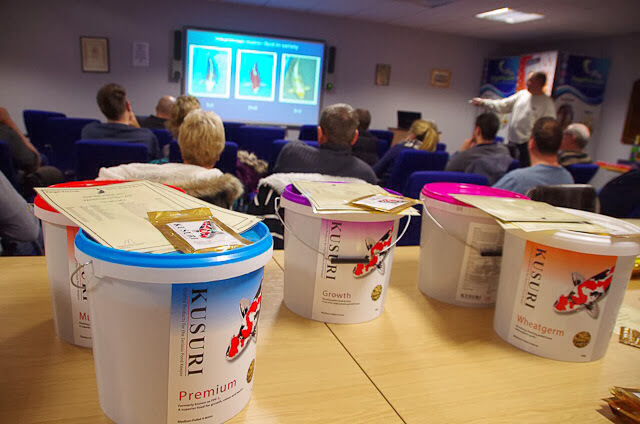 This year's the Summer Garden Show was very kindly sponsored by Kusuri. As you can see there were some superb prizes for all the winners plus a packet of Fluke-M for everyone who entered. 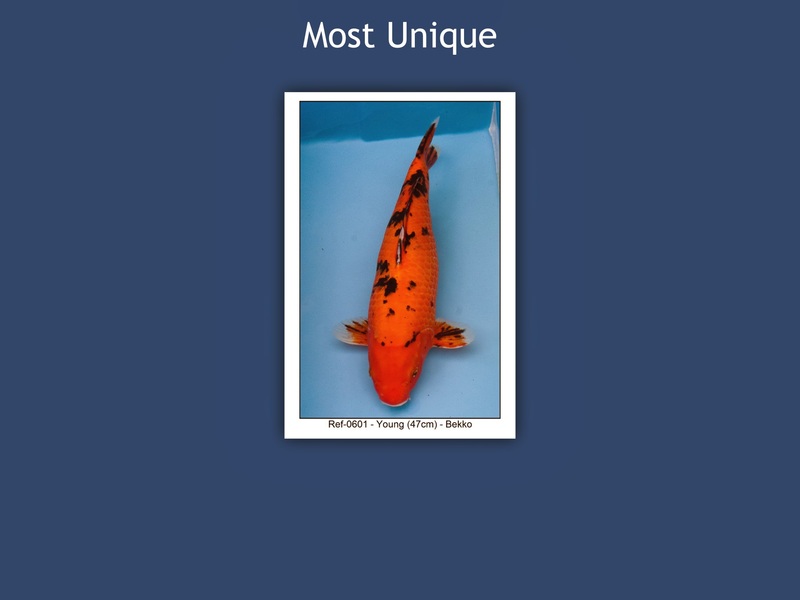 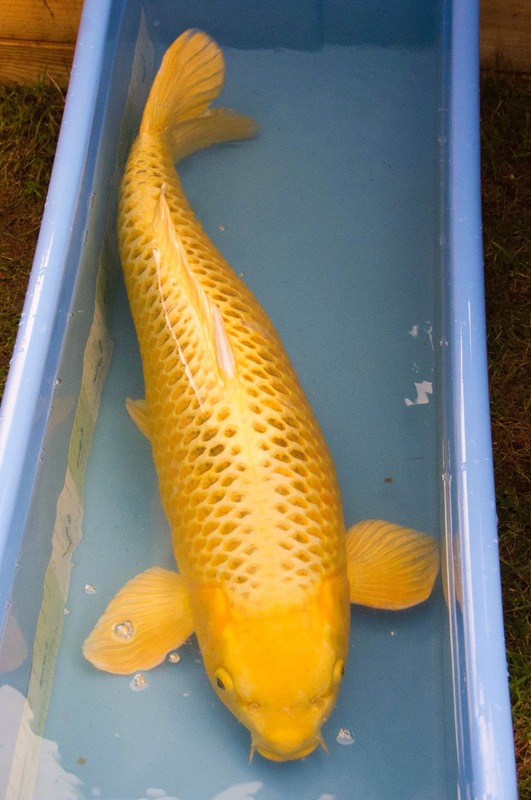 There were eleven ponds visited with 132 koi (record number) entered into this years show. 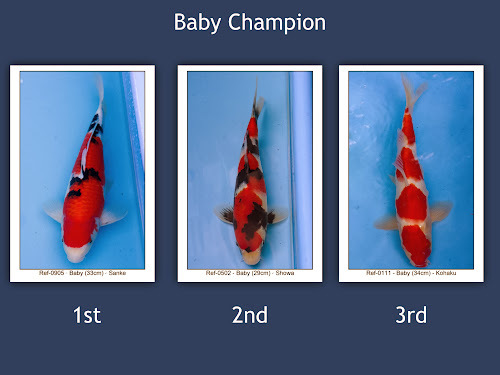 The entrants were evenly split across the size categories with baby (33), young (60) and mature (30).